*Free UPS or FedEx ground shipping to continental USA. The Rupes Bigfoot Nano with iBrid Technology now makes it more easier than ever for the auto detailer to accomplish the most challenging of auto detailing tasks. 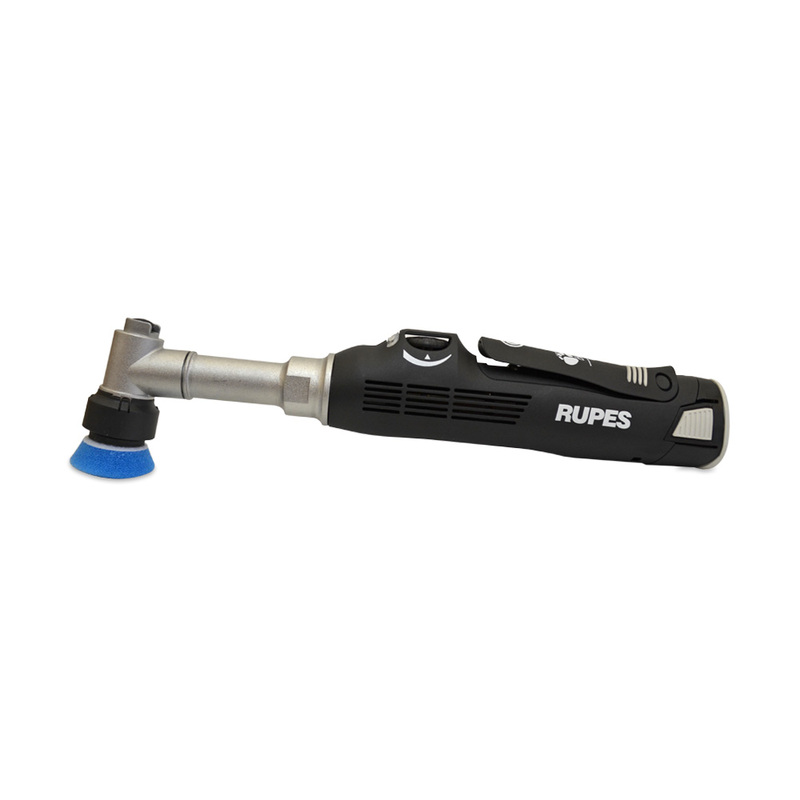 This Rupes kit makes it possible to polish panels as small as 1 inch wide, to gently remove grease, grim, and environmental fallout from recessed areas of your car or motorcycle. This can be done by utilizing a large variety brush attachments which are included. So you may be asking yourself, "What exactly is the Rupes Bigfoot Nano with iBrid Technology?". Well, first off, the Bigfoot Nano is available in short and long neck versions. Both versions rely on a Lithium Ion rechargeable battery, giving you the freedom necessary to maneuver into awkward and recessed areas of a vehicle. 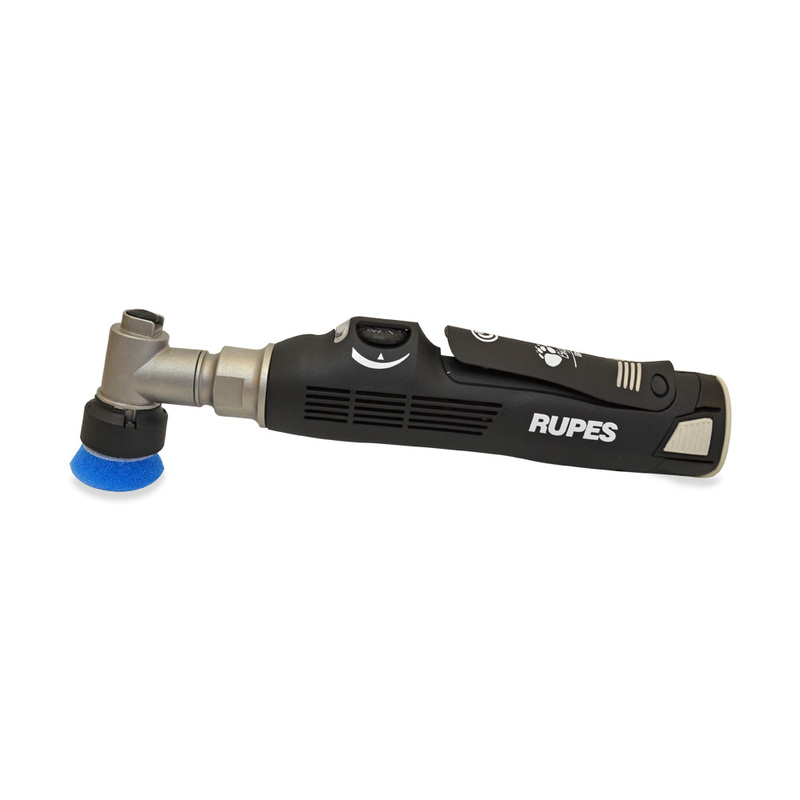 Additionally, the Rupes Bigfoot Nano with iBrid Technology is extremely versatile by giving you the option to switch between rotary, 3mm random orbital, and 12mm random orbital actions quickly and easily. Also, the Rupes Bigfoot Nano with iBrid Technology is loaded with state-of-the-art technology. One is the two Lithium Ion batteries included. Each battery can perform for 30 minutes of run time, under a full load. Also, there are LED indicators on the machine to signal you how much battery life you have left. • (6) Buffing foam pads COARSE 1-1/4"
• (6) Buffing foam pads FINE 1-1/4"
• (4) Buffing foam pads COARSE 2"
• (4) Buffing foam pads FINE 2"
• (1) Backing plate 1-1/4"
• (1) Backing plate 2"